Once the Holy Family returned from Egypt, there is a gap in the Bible narrative until the account of the twelve-year-old Christ disputing with the doctors in the Temple. (Luke 2 v 42 - 51). The gap needing filling, in this case by the various versions of The Nativity Gospel of Thomas. To the modern reader this is an odd account, and, although known, it seems to have had little or no influence on art. It portrays Jesus as something of a spoilt brat, perfectly willing to murder his playmates simply for bumping into him: more magician that saviour. One rather more attractive passage describes the five-year-old Jesus making birds out of clay, birds that he eventually brings to life. This would make a good picture, but I don't know of one. 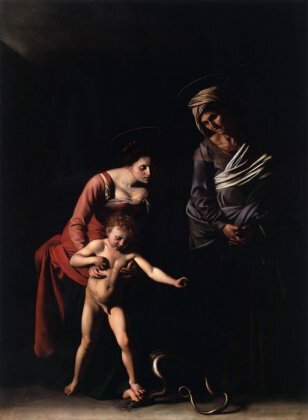 The various versions of the infancy gospel can be read here. For artists, tackling this period of the life of Christ, the answer was - make it up. 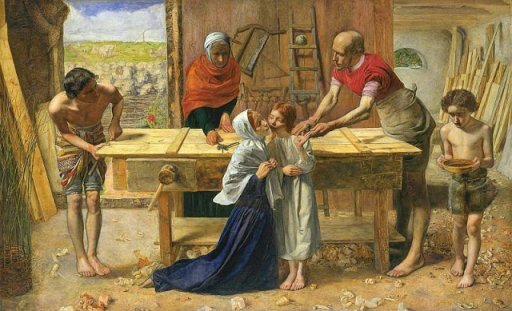 Probably the best known painting that does this - regrettably, in my view - is Christ in the House of his Parents by John Everett Millais. Why have I always disliked this picture? In this I am not alone; it caused a furore when it was first shown for being too modern. To modern eyes, it looks - well, dated. The figures are unattractive: a sentimentally pretty Jesus, a rather sulky John the Baptist, an odd Joseph whose arms seem much to long. Charles Dickens disliked the Mary and described her as looking like an alcoholic, 'hideous in her ugliness.' This seems just a little harsh. I think my problem with it is that its symbolism is all too obvious - Christ with the wounded hand like a stigmata, the tools on the back wall representing the Trinity and the instruments of the passion. One likes ones paintings to be a little more subtle. 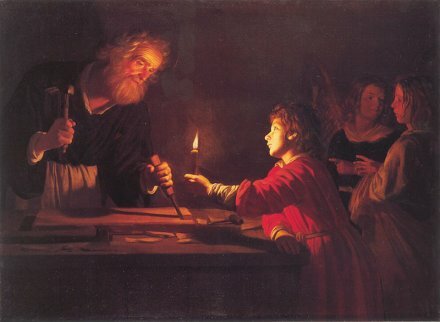 Gerrit van Honthorst's Childhood of Christ isn't that subtle either - watch what you are doing with that chisel, Joseph! Not promising so far. So, on to two rather more interesting - and controversial - paintings. The serpent is Satan, and the cause of the fall of man in the garden of Eden. Even at this young age, Christ in the redeemer. Rather obvious symbolism again? Well, perhaps. But what about Max Ernst? 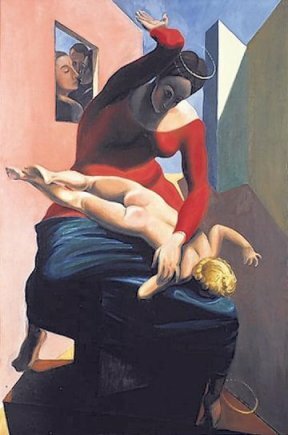 For obvious reasons this painting has caused outrage and offence. As a prime example of Dada, that was what is was about; these painters did their best to dislodge any halo they could find. An unlikely connection between the two paintings? I will leave you to decide!